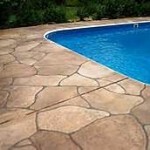 Stone Image Concrete Designs uses only the best concrete flooring materials to create our high performing, top quality seamless and decorative concrete flooring systems. Choose from a wide variety of colors, patterns, textures and styles to enhance the look and function of your next residential or commercial project. We work directly with home and property owners, commercial contractors and architectural designers to create truly custom results. Stone Image Concrete Designs provides quality concrete flooring systems for clients throughout the central Florida region. Contact our office for a professional consultation to determine which products and applications would be best suited for your construction, remodel or renovation project.